This machine is my new favourite thing EVER! 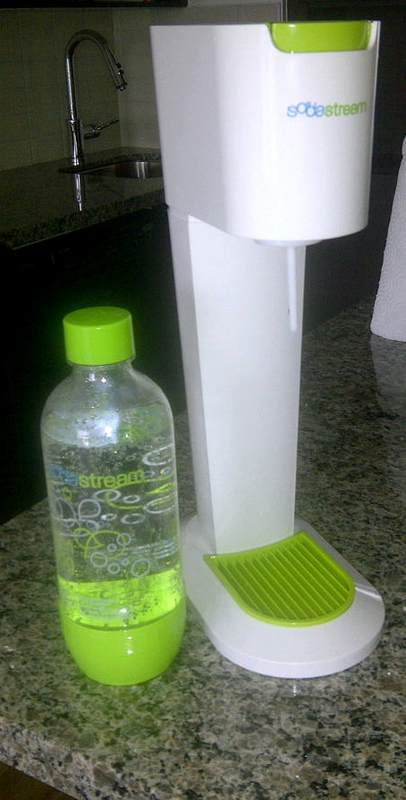 The Soda Stream is a carbonated water maker, seriously wondering where this has been all my life. It’s pricey people: $129.99. BUT if you love Perrier like me, or over the next few decades you can see yourself enjoying the ability to carbonate your own beverages then this is worth looking into!! It’s healthy, saves the planet and spices up boring old water! AMAZING! You can even get low calorie natural syrups to add like cranberry or lemon and they are SO good! This came with a compressed air can that apparently lasts two years before you need to refill it, and that’s if you are consuming a bottle a day. ← The Date Almond Shake = Delicious! You are hilarious. Told you that you’d love it.